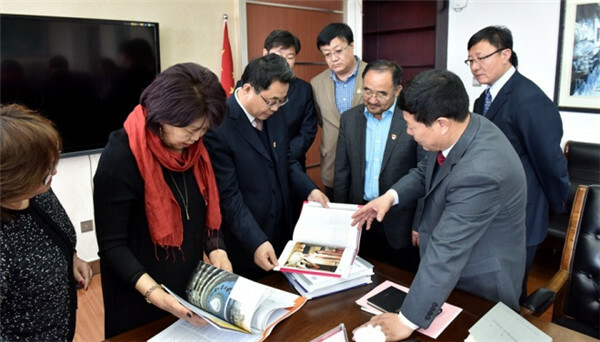 A delegation from the Mongolia University of Art and Culture (MUAC) visited Inner Mongolia Normal University (IMNU) in Hohhot, the capital of North China's Inner Mongolia autonomous region, on March 29. During a meeting, the two universities introduced their latest developments and reviewed teacher-student exchanges and academic and scientific research cooperation. Zhang Haifeng, vice-president of IMNU, hoped that the two parties would further deepen and expand cooperation.